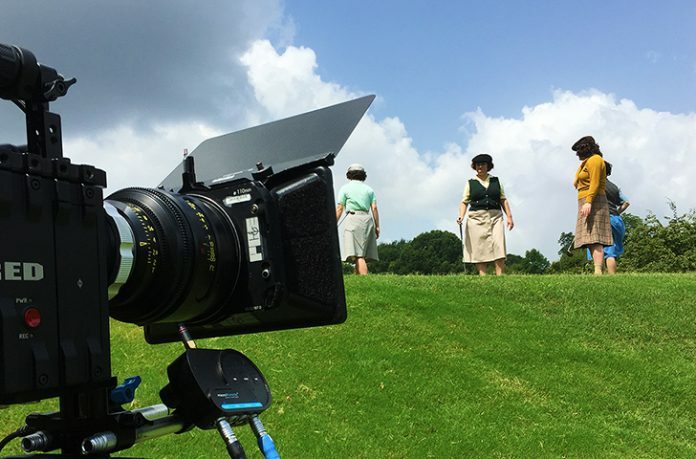 A few minutes into The Founders, Marlene Bauer-Hagge, one of the original 13 female golfers who banded together to create the Ladies Professional Golf Association in 1950, issues a warning and a challenge to the filmmakers: “You better get busy. 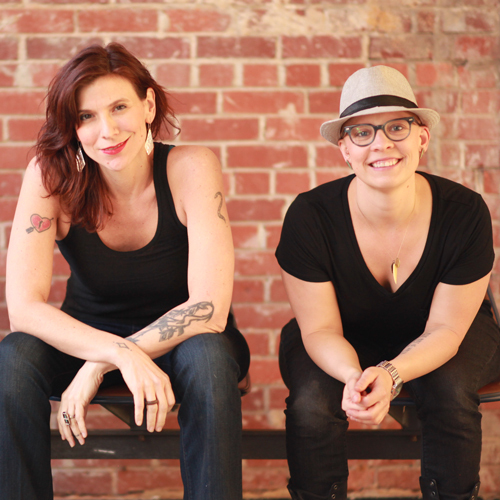 There’s only four of us left!” The documentary’s Atlanta directors Charlene Fisk and Carrie Schrader took Bauer-Hagge at her word and fast-tracked this fascinating, educational, and emotional new documentary. On Monday at 9:15 p.m., Fisk and Schrader’s Mighty Fine Films-produced The Founders will have its world premiere at the Plaza Theatre as part of the 40th annual Atlanta Film Festival. “We knew the clock was ticking and we were up against a real deadline,” explains Fisk. The first person she called to talk about making the doc was LPGA legend Louise Suggs (the native Atlantan has her own permanent exhibition at the Cherokee Town and County Club). The LPGA’s 4th winningest golfer proceeded to verbally take a sand wedge to Fisk’s psyche, and then she hung up. That’s when Fisk was convinced she had to make the film. “I got peppered with ‘Who are you? !’ and ‘Why do you want to do this film? !,’” Fisk recalls, laughing in retrospect. “When I got off the phone, I was really deflated. But then I realized how much she cared about this, how personal it was for her and how passionate she was. That’s when I recognized what an important story this was for women’s history.” The other surviving LGPA founders interviewed for the film are Shirley Spork, a walking LPGA encyclopedia, and the effervescent Marilynn Smith (who, when she’s interrupted by a ringing doorbell on-camera responds with, “Oh, Shicklegroover!”). THE FOUNDERS FILM TRAILER from Charlie Fisk on Vimeo. In addition to keeping the LPGA financially afloat in the early years, the original 13 female pro golfers were required to host clinics, attend cocktail parties, and even participate in fashion shows in order to drum up interest in the new professional women’s sport. They drove themselves in caravans in a pre-interstate America to play in the far-flung inaugural tournaments as well, communicating with each other by hanging color-coded ping-pong paddles out the car window. “For a woman at that time, that was an incredibly risky thing to do,” says Fisk. One of the film’s most powerful moments comes late in the doc when a wheelchair-bound Suggs is pushed inside an LPGA exhibition at the World Golf Hall of Fame in St. Augustine, Florida. Wiping away tears, Suggs assesses, “This is the first time I’ve ever been up there with the big boys.” She died in August at age 91. The Founders has its world premiere Monday night at 9:15 at Atlanta’s Plaza Theatre as part of the 40th annual Atlanta Film Festival. Tickets are available at the box office or at atlantafilmfestival.com. Fundraising is ongoing for The Founders to finance a print of the film for future festivals and a potential distribution deal. More information about a tax-deductible donation can be found at thefoundersfilm.com.